Every large coffee Banjo’s sold during May has paid off for suicide prevention charity SPEAK UP! Stay ChatTY. The charity received 50 cents from each of the tens of thousands cups of coffee Banjo’s sold nationwide. Banjo’s Bakery Cafe managing director Jessica Saxby yesterday presented a cheque for $28,899.50 to Mitch McPherson, who founded the charity after his younger brother Ty took his own life. Ms Saxby said she expected more than $30,000 will be donated once the final figure from the fundraiser is tallied. Banjo’s franchises as far afield as Mildura in Victoria and Maroochydore in Queensland took part. “We’ve known Mitch for a long time now – it’s great to get out there and spread the message.” Ms Saxby said Mr McPherson said the total raised this year was at least $4,000 more than last year. The money will go towards a program in which he speaks to Year 9 students about his experience with suicide. “The feedback I’ve got from the school stuff is great – lots of kids can relate to it,” he said. Coffee lovers can get their caffeine fix while also raising funds for suicide prevention in Banjo’s Bakery Cafes around the country this month. SPEAK UP Stay ChatTY and Banjo’s have teamed up once again during the month of May, with 50 cents from every large coffee sold going to the local charity. Founder Mitch McPherson said a similar arrangement last year raised more than $27,000. The funds raised will be used to help run community events as well as presentations to organisations and schools. Mr McPherson has given more than 500 presentations throughout Australia, raising awareness for suicide prevention following the death of his younger brother Ty in 2013. Banjo’s Bakery Cafe was lucky enough to meet the wonderful children and people of the Watoto Children’s Choir on their recent visit to Hobart, Tasmania in July 2016. Banjo’s Hobart provided them with a wholesome Breakfast to help keep up their strength during their tour. The Watoto Children’s Choir is a unique ‘reaching out’ tool. Reach people in your organisation, community or church. Address issues of global significance and fuel your missions or outreach program to care for the orphan and widow. Each child in the Watoto Children’s Choir has suffered the loss of one or both parents and now lives in a Watoto village. The experience of travelling on a choir helps the children to develop confidence and boldness, as well as broadening their worldview. It’s on… the HUON VALLEY vs the DERWENT VALLEY fundraising for Give Me 5 For Kids! Dave and Kylie from Heart 107.3 will be broadcasting live from Banjo’s Huonville this Thursday 2nd June between 6-9am and would like your help to raise funds for this great cause. Drop in and say ‘Hi!’ and show your support and the generosity of the Huon Valley community. In 2 weeks time Dave and Kylie will be doing the same from Banjo’s New Norfolk for Derwent Valley residents to take up the challenge! The story of Sarah Paino has touched the lives of not only the local Tasmanian community but of people living across the country and overseas. In the early hours of Friday 22 January 2016 Sarah, who was 32 weeks pregnant, dropped her partner Daniel Stirling, a Baker at a Banjo’s Bakery Café (Banjo’s), to work. Travelling home with her two year old son Jordan in the back seat she was hit by a stolen vehicle which ran a red light and as a result she lost her life. The young couple’s two year old son escaped unharmed and after the amazing work from the team at the Royal Hobart Hospital, their unborn baby, later named Caleb, was safely brought into the world. Following the tragic event, Banjo’s and MyState Bank launched a fundraising campaign to support Daniel and his boys. The outpouring from the community was unprecedented and the initial target of $10,000 was quickly surpassed. Within five hours over $30,000 had been donated and by the end of the first week over $370,000 was raised. PLUS an additional $5,000 in donations and merchandise sales. Supporting local communities is the mantra for a brand with local origins. 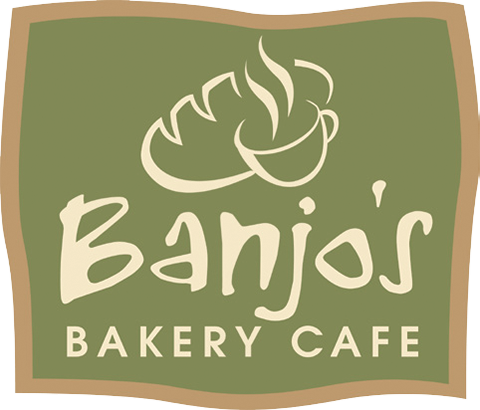 Founded by Mark Saxby in 1984, Banjo’s has grown from strength to strength and now boasts 36 bakery café’s across Australia. The latest addition is at Longford in the north of the state and also boasts Banjo’s newest franchisee. Damien Benson has been with Banjo’s for over 15 years after starting as a cleaner at the Margate bakery. Damien’s affinity with the bakery environment saw him quickly move through the ranks and when he transferred to Moonah in 2007 it wasn’t long before he became Assistant Manager. When the opportunity came along to become Store Manager, it was a natural progression and saw him managing a team of up to 30 staff. New Norfolk bringing Christmas spirit to locals! Banjo’s New Norfolk is a delicious option for Christmas treats this festive season, with a wide variety of sweets that will satisfy the tastebuds of any diner. It’s also the perfect place to stop by for a coffee during those hectic Christmas shopping days, with a free Christmas tart coming with any coffee purchase. Simply present the coupon from the Gazette to receive this offer. Come in and chat to the friendly local staff about ideas that would suit the Christmas dinner table to accompany your family meals.They are also taking orders for Christmas, with a large variety of food options available. November’s current SPEAK UP! Stay ChatTY promotion at Banjo’s continues to raise support towards suicide prevention. Encouraging others to do the same, Relationships Australia Ambassador and founder of SPEAK UP! Stay ChatTY Mitch McPherson has been sipping on large coffees and chatting with friends on a daily basis at Banjo’s stores across Tasmania. Banjo’s and the not for profit charity have joined forces to help spread the message that nothing is so bad that you can’t talk about it with a friend – perhaps over a cup of coffee. Banjo’s is donating 50 cents from every large coffee sold towards the cause as well as selling Stay ChatTY wrist bands and stickers in-store. McPherson recently caught up with local Bruny Island surfer Lizzie Stokely at Banjo’s Hobart City for a coffee and chat. Stokely, a 17 year old St Michael’s Collegiate student, was awarded the Isabel Letham Award at the national junior surfing titles last year for most promising female surfer and earned a sponsorship deal with the surf brand Roxy. Already picking up tips from champion Layne Beachley, the young surfer is well on her way to a professional career. The young surfer is a big supporter of SPEAK UP! Stay ChatTY and hopes to inspire other young Tasmanian’s to follow their dreams and goals.